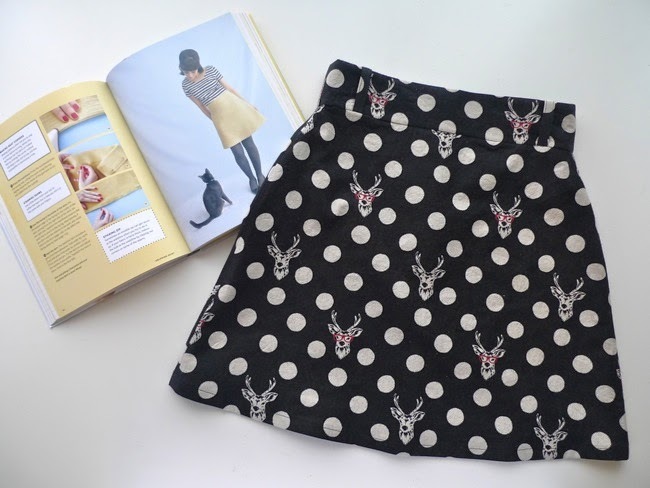 The Delphine skirt from Love at First Stitch is a regular feature of my wardrobe. I wear one of these skirts at least twice a week, usually more. 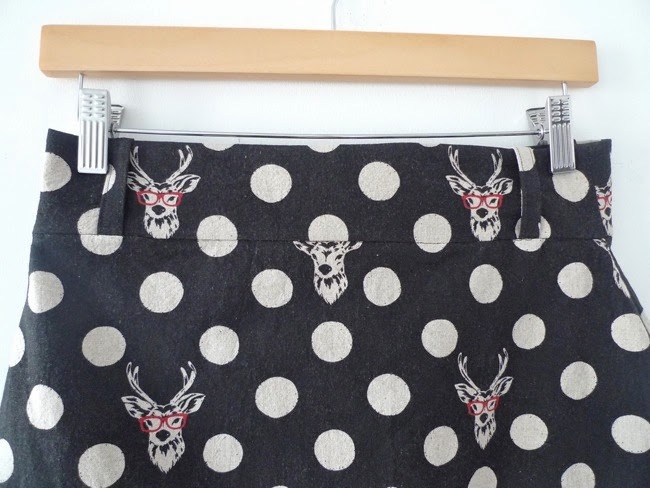 So I thought I'd whip up another one, this time using this amazing Echino stag print cotton-linen canvas fabric, sent to me for review by cute fabric shop Modes4U. Long time readers will know that I have a particular penchant for polka dots. Add a stag into the mix and you're onto a winner. Put a pair of bright red specs on said stag and - goal! 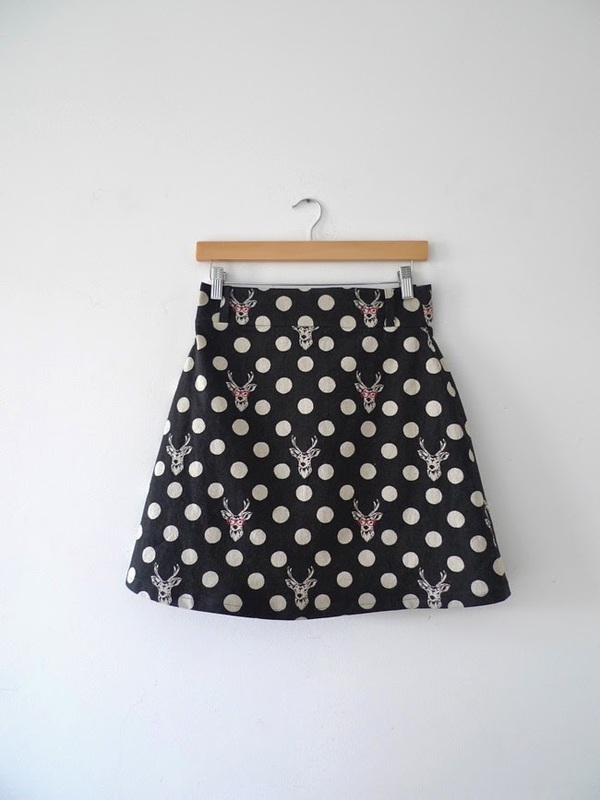 The fabric is the perfect weight for the Delphine skirt - it needs a medium- to heavy-weight material with body to hold the exaggerated A-line structure of the design. This canvas has a slightly rough texture to it, which makes it feel all natural and rustic, in a good way, but since I didn't particularly fancy it rubbing against my bare legs this Summer, I decided to add a silky-smooth lining. 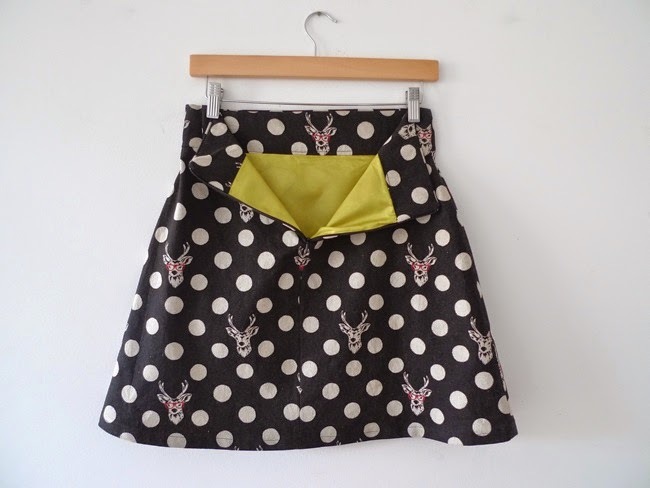 In the next post, I'll show you how you can add a lining to the Delphine or similar skirt. I also added belt loops to the waistband - there's a section in my book which shows you how to do likewise. What have you been making, please?